Easy and very convenient to get from klook! No need to line up because the confirmation number can be typed on a self serving counter, and tickets will be printed for the whole party automatically! 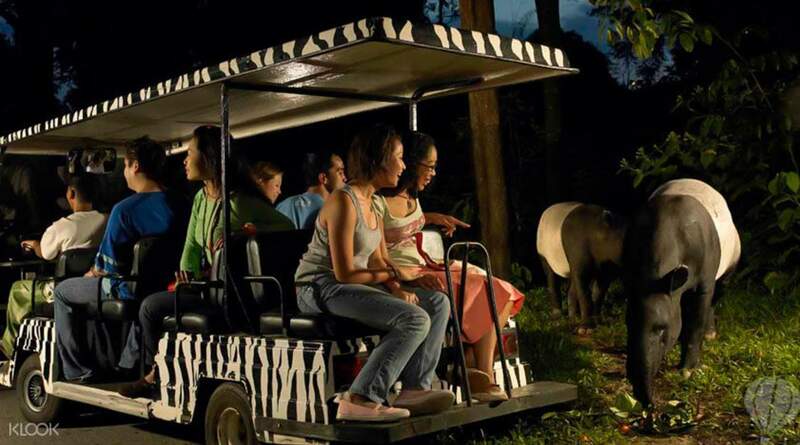 As dusk falls, take an after-hours look at over 2,500 nocturnal animals starting their nightly rituals at the Singapore Zoo Night Safari. Come close as they frolic, graze and hunt. Embark on an exciting tram ride that takes you through 7 geographical regions, or opt for a walking trail for an even deeper journey into the park. Don't miss the interactive Creatures of the Night Show, where you can learn more about the natural abilities of fascinating nocturnal animals. 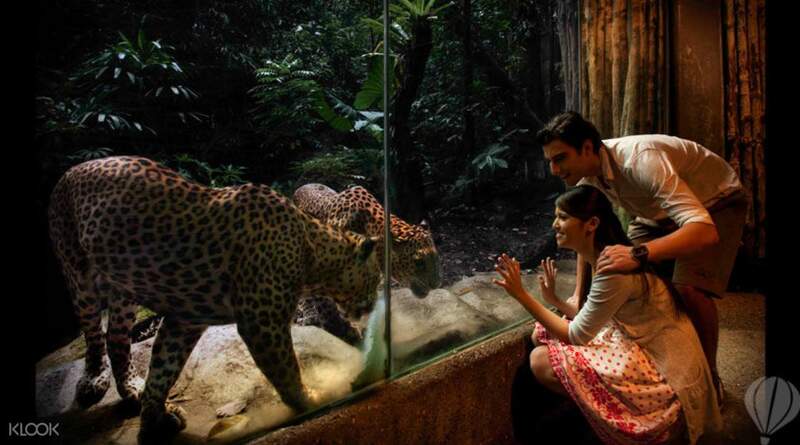 Book your Singapore Night Safari tickets and enjoy a multi-sensory wildlife adventure! Me and my kids really enjoy the night safari. Especially the small creatures show and the fire performance show . It is a great experience to watch animals during night time and it was surprisingly no mosquitoes. As the park is sprayed with lemongrass air purifier and all the zoo guidances are very friendly and helpful . It is worth to have a night visiting . Me and my kids really enjoy the night safari. Especially the small creatures show and the fire performance show . It is a great experience to watch animals during night time and it was surprisingly no mosquitoes. As the park is sprayed with lemongrass air purifier and all the zoo guidances are very friendly and helpful . It is worth to have a night visiting . Awesome experience with night safari and we're really lucky to get a look of all the Noctorous animals. disappointed that our audio system wasn't working and couldn't really hear what the guide was saying. Awesome experience with night safari and we're really lucky to get a look of all the Noctorous animals. disappointed that our audio system wasn't working and couldn't really hear what the guide was saying. To collect tickets from klook you go to some automatic machines and scan QR code . The night zoo was great . Need to wait a while for tram ride . But you can also walk around through night zoo as well . To collect tickets from klook you go to some automatic machines and scan QR code . The night zoo was great . Need to wait a while for tram ride . But you can also walk around through night zoo as well . 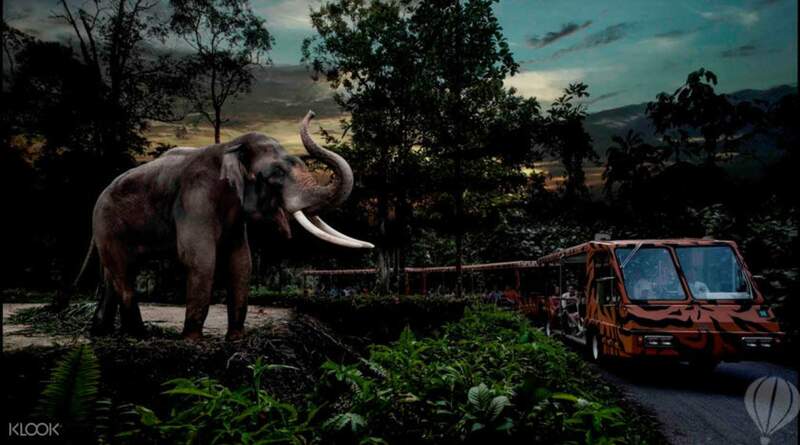 Singapore Zoo can be visited by a 927 bus from Choa Chu Kang bus station. The lines towards the tram which will lead you to the night safari ride may be long - be sure to bring extra patience. 😉 During the tour you will get to see the animals in the open wild - some hightlights include the lion, elephant, Bengal tiger, etc. Also, don’t miss watching the Creatures of the Night Show. 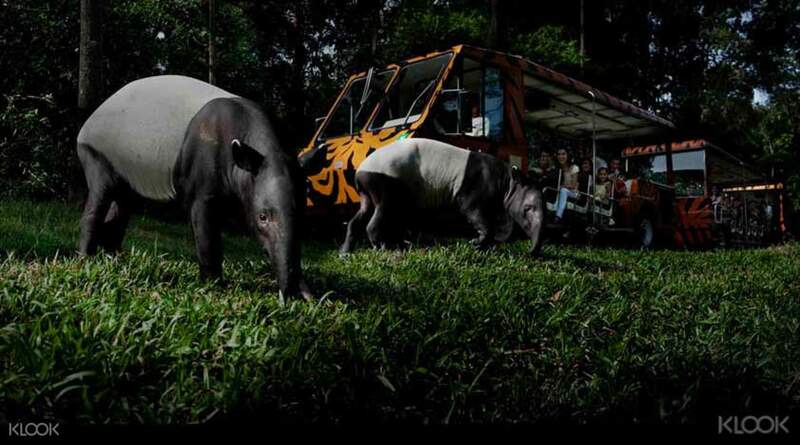 Singapore Zoo can be visited by a 927 bus from Choa Chu Kang bus station. The lines towards the tram which will lead you to the night safari ride may be long - be sure to bring extra patience. 😉 During the tour you will get to see the animals in the open wild - some hightlights include the lion, elephant, Bengal tiger, etc. Also, don’t miss watching the Creatures of the Night Show. Night Safari is professionally Managed. It is very clean. The tram is cool, but it's dark and you have to accept you're not going to see everything, but most animals are visible and there is low level lighting. The Fire Show at he entrance and the animal show - both are good. Not to be missed So, this is the place to see animals in dark, in their natural environment. The queue at many places is quite big. Overall worth the money. Night Safari is professionally Managed. It is very clean. The tram is cool, but it's dark and you have to accept you're not going to see everything, but most animals are visible and there is low level lighting. The Fire Show at he entrance and the animal show - both are good. Not to be missed So, this is the place to see animals in dark, in their natural environment. The queue at many places is quite big. Overall worth the money. Pretty straightforward ticketing redemption. We saved time by avoiding the queue. The highlight of the activity for me was the creatures of the night show. The tram ride was long and could get boring (must be the sleep-conducive atmosphere: dark, quiet and slow journey). We opted not to walk the trails because we were already exhausted from our day's activities. Overall, I think this could be missed if you have limited time or budget. Pretty straightforward ticketing redemption. We saved time by avoiding the queue. The highlight of the activity for me was the creatures of the night show. The tram ride was long and could get boring (must be the sleep-conducive atmosphere: dark, quiet and slow journey). We opted not to walk the trails because we were already exhausted from our day's activities. Overall, I think this could be missed if you have limited time or budget. I went to NS on Friday night. It was a good experience and large crowds on that night. You would need to self collect and print out the physical ticket from the kiosk (next to the entrance ticketing booth) by entering your Klook booking number/scanning the QR code. You would not need to pre-book transport after your NS trip as there are many metered taxis and buses available there. It is very safe at night as there are zoo usherers around to assist you in the NS and at the transport stand area. I would suggest that you go in to the NS at 7pm and straight to the Creatures of the Night Show (20mins). After the show finishes, head to the tram ride (40mins) that takes you to all the trails. If you prefer to walk the trails, yes you may. However, i would suggest that you take the tram ride if you were travelling with young children and elderly as the trails are quite a long walk and the lights are dimmed along the trails. After the tram ride completes, go to the entrance courtyard (restaurants and gift shops area) to watch the Thumbuakar performance (15mins). I completed all the three activities and readied to leave the NS at 9.30pm. I went to NS on Friday night. It was a good experience and large crowds on that night. You would need to self collect and print out the physical ticket from the kiosk (next to the entrance ticketing booth) by entering your Klook booking number/scanning the QR code. You would not need to pre-book transport after your NS trip as there are many metered taxis and buses available there. It is very safe at night as there are zoo usherers around to assist you in the NS and at the transport stand area. I would suggest that you go in to the NS at 7pm and straight to the Creatures of the Night Show (20mins). After the show finishes, head to the tram ride (40mins) that takes you to all the trails. If you prefer to walk the trails, yes you may. However, i would suggest that you take the tram ride if you were travelling with young children and elderly as the trails are quite a long walk and the lights are dimmed along the trails. After the tram ride completes, go to the entrance courtyard (restaurants and gift shops area) to watch the Thumbuakar performance (15mins). I completed all the three activities and readied to leave the NS at 9.30pm. Night Safari is very interesting to explore. I thought at first I might get bored because its night time and can’t even take a picture of the animals bcoz its dark and flash is not allowed. But I was wrong. The tour was very informative and their showcase of animals are impressive. I learned alot from the backgrounds and how they lived. Surely this experience, though not have alot pictures of it, will surely remain at heart. It teaches us also to preserve and value animals. The zoo kept the animals in well manner as well. Night Safari is very interesting to explore. I thought at first I might get bored because its night time and can’t even take a picture of the animals bcoz its dark and flash is not allowed. But I was wrong. The tour was very informative and their showcase of animals are impressive. I learned alot from the backgrounds and how they lived. Surely this experience, though not have alot pictures of it, will surely remain at heart. It teaches us also to preserve and value animals. The zoo kept the animals in well manner as well. A: Unlike third party platforms who may hold fraudulent tickets, Klook is an authorized reseller of Singapore Night Safari. All tickets sold by Klook are genuine and will be accepted at the admission gate. Q: How many times can I enter the park with this ticket? Q: I have received the voucher, can I reschedule or cancel this booking? A: No. Once booking has been confirmed and you receive your voucher, no cancelation or change may be made for this activity. Please be noted that the 7:15pm and 8:15pm tickets are only valid for entry on your specified date. However, 9:15pm tickets are valid for 3 months from your selected date.